Two Green, Stinky 6-inch Pillar Candles! I suppose bidding on these candles might subject the winner to a lawsuit, but if everyone keeps quiet no one will find out. Possession being nine-tenths of the law you should then become the proud owner of a matched pair of pillar candles you can either use yourself or give to someone with a home you want to smell like stinky ferns. Allow me to explain. 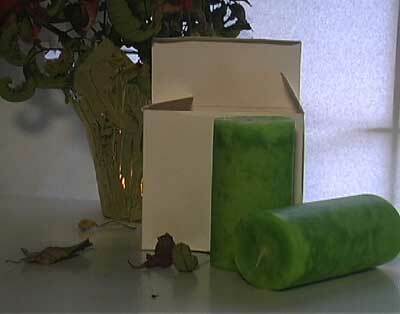 Read more about Two Green, Stinky 6-inch Pillar Candles! "Chimes of Pluto" silver finish wind chimes! Did I miss the local news story that advocates handing out wind chimes to the unemployed? Must have been right after the Seinfeld people handed out puffy pirate shirts to the homeless. Well, my gain is your extra-special gain, assuming you like wind chimes. And since the box claims they manufacture "the world's favorite windchime" (sic), if you like wind chimes chances are you'll REALLY like these. 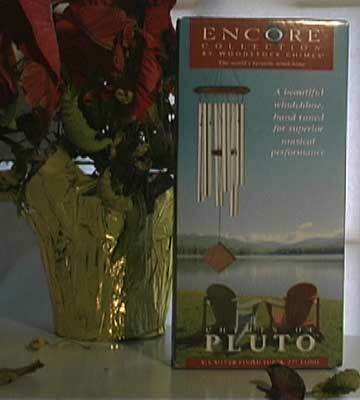 Read more about "Chimes of Pluto" silver finish wind chimes! Schick Intuition Razor Free Sample! Yes, my friends, Christmas magic has sunk to an all new low with this truly craptacular gift. I believe Santa himself gave me this. In my family, a gift from Santa can mean one of three things: a tiny stocking stuffer; a gift you give yourself but you don't want the family to know (not the case here I assure you); or a gift so putridly bad you are ashamed to attach your name to it for fear of reprisals. And believe me, my family WILL retaliate if you give them the slightest opportunity. 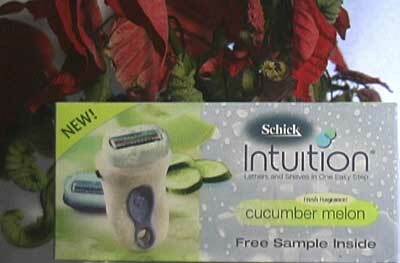 Read more about Schick Intuition Razor Free Sample! Mojo's Holiday Craptacular--The Ceramic Pig's Head! What can I possibly say? This thing sells itself. Or at least so I hope and pray on a daily basis. It's a pig's head. It's white. It's ceramic. It's got these weird red plastic eyes that seem to glow. This pig whispers to you while you're sleeping and tells you to do evil things in your dreams. One look and you can see why those kids went bonkers in Golding's Lord of the Flies. Or was it Lord of the Dance? I tell ya, anyone who claims to be the Lord of Anything is obviously up to no good. 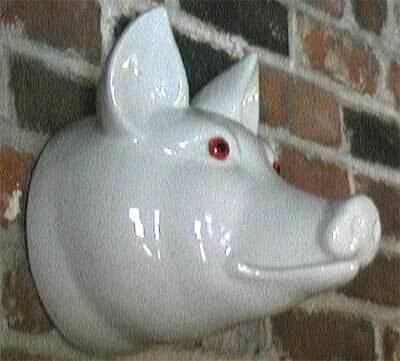 Read more about Mojo's Holiday Craptacular--The Ceramic Pig's Head! 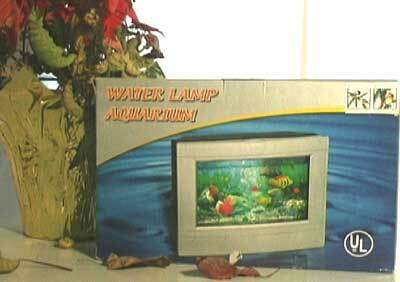 Read more about The "Water Lamp Aquarium"! So last weekend the hubster and I rent videos for the first time in a long time. We got Shaun of the Dead and De-Lovely.